Dynamics of relationship is an embodied exploration of guided meditation, connection, Continuum Movement, and the neurobiology of relationships. This work provides a foundation for achieving wholeness, healing wounds and overcoming trauma. One can expect to savor the epitome of presence, nurture a more spacious heart, engage relationship enriching practices, experience the internal space mediation, and discover the grace of fluid movement. Based on 80 years of combined study from the founders of Paths of Connection and the author of Healing the Wounds of Childhood. This workshop is for anyone who is in relationship with another person, is excellent for the individual seeking more out of life, and exceptional for the professional who desires a better connection with their clients. Dr. Don studied Gestalt Therapy at the LA Gestalt Therapy Institute, and Neo-Reichian therapy with Drs. Allan Darbonne and Jack Lee Rosenberg; the Psychology of Selves and Voice Dialogue Method with Drs. Hal and Sidra Stone; Hakomi with Dr. Ron Kurtz, Coherence Therapy with Dr. Bruce Ecker, AEDP with Dr. Diana Fosha and CIMS with Dr. Albert Sheldon and Beatriz Winstanley. Don has taken immersion courses and core training in Dr. Sue Johnson’s Emotionally Focused Couple’s Therapy. He is a Trainer Emeritus in Hellerwork Structural Integration and is certified in Somatic Experiencing (SE), the trauma work of Dr. Peter Levine. For 18 years, Don has been practicing and now teaching Continuum Movement, developed by Emilie Conrad. Don’s doctoral dissertation focused on the consequences of and recovery from relational maltreatment in early childhood. Diane draws from many years of working with individuals and studying diverse body-oriented, movement and energetic systems. 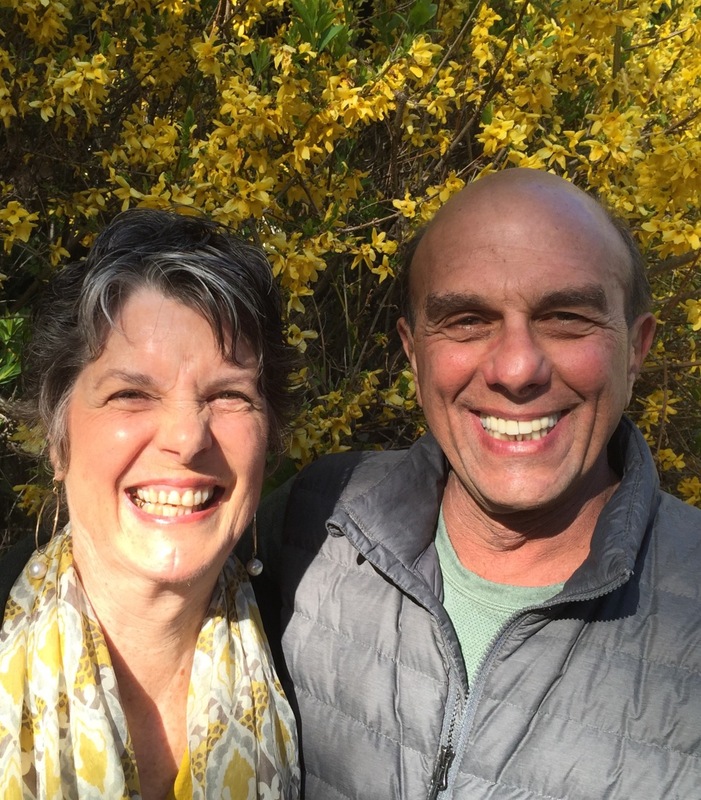 Diane is an authorized Continuum Movement Teacher, and certified in Somatic Experiencing (SE) – the trauma work of Dr. Peter Levine as well as Hellerwork Structural Integration. Diane is experienced in the Psychology of Selves and Voice Dialogue and AEDP (Accelerated Experiential Dynamic Psychotherapy). Currently she is using EVOX as a system to assist in helping clients shift their perceptual views and understandings.